When my son and I sat down to go through Narnia together, perhaps when he was 7 and 8, I had no doubt that we would read them as C.S. Lewis wrote them–the Published Order. That means starting with The Lion, The Witch, and The Wardrobe—even though The Magician’s Nephew is a prequel. Now Nicolas is beginning to go through the Focus on the Family Radio dramatization of the series as he does his drawing. Because they are reading The Lion, The Witch, and The Wardrobe at school, he wanted to read them in a different order. Without blinking, I suggested he go through the CDs in the order of Internal Chronology, staring with The Magician’s Nephew. This decision-making process made me realize that it’s time for me to come out of the wardrobe on what I think is the real reading order for Narnia. And to warn you, it is neither of the ones listed above. In thinking about the whole issue I went back to Jennifer Neyhart’s blog on Narnia order from last year. She pretty much stole my thunder last year with this great blog, so you should consider her argument for reading the books in the order Lewis wrote them as nearly authoritative. Jennifer argues—and she is right—that any reader picking up Lion will know that she is reading the beginning of a series. Aslan slides in as one unknown, first haunting the world in prophecy and then exploding into reality. But if one begins in The Magician’s Nephew, Aslan is already known. So we should go by Published Order rather than Internal Chronology. However, it is often quoted that Lewis disagreed. Here is part of a letter C.S. Lewis wrote to a committed reader in 1957. This quote is used to suggest that Narnia should be best read by Internal Chronology–the argument that American publishers use for publishing numbers 1 through 7 on the book ends. I think I agree with your [Internal Chronology] order for reading the books more than with your mother’s [Published Order]. First, Lewis couldn’t remember what order exactly he wrote them in. We have this pretty well worked out for us in the literature, but he was unclear at the time. So he isn’t perhaps the best judge of chronology. Second, Lewis admits that it probably doesn’t matter what order the books are read in. I’m going to pick up on that point below. 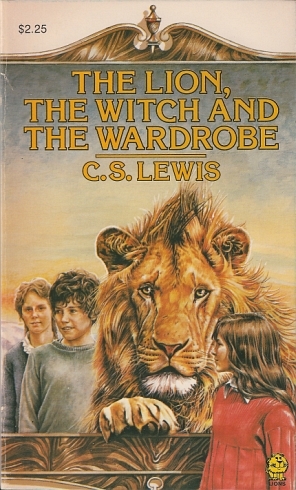 Third—and this point will be a bit controversial—Lewis cannot tell us what order they should be best read in because he was not a reader of Narnia. At first blush, that sounds absurd. He read them several times, no doubt. But Lewis is not like you or I or Nicolas. He is not a new reader to the world of Narnia, but a subcreator of it. Actually, in the “voice” of the narrator of Narnia, Lewis is most truly the chronicler. And as chronicler, he has access to a framework of the world, its timeline, rulers, and main events, as well as the stories and myths that matter most to him as chronicler. But he is not a reader. A reader needs something different. And the first-time reader needs what she gets from The Lion, The Witch, and The Wardrobe at the beginning of a series. She doesn’t get that from The Magician’s Nephew. Reading for the first time is different than re-reading. The Internal Chronology is not as easy as we might think at first. It probably makes a difference when a reader has already seen the movies, enjoyed the artwork, or heard the dramatized version. This is a discussion for another day. Reading books for the first time really is different. I’ve made a good case, I think, that a person should read the books in the Published Order the first time. But I think that when one goes back to the books, reading them in Internal Chronology is a brilliant way to see the books from another angle. Since as re-readers we know about Aslan, his introduction in The Magician’s Nephew fits perfectly. We also see some beauty in the reordering, such as the role of the Lampost, and Aslan as redeeming that which he first created. We see how Sin enters Narnia, and all the ways that Aslan guides Narnians and Humans in dealing with Sin. So I think Jennifer and the Published Order crowd are right on the first reader of Narnia. I think, though, that the second (and third, and twelfth) reader of Narnia can go by either chronology. However, Internal Chronology is not perfectly simple. Most obvious, The Horse and His Boy occurs entirely on p. 166 of my copy of The Lion, The Witch, and The Wardrobe. Really, the reader should stop reading, tell the tale of Shasta, and then finish Lion. Even more than that, take The Silver Chair. Who knows what Marshwiggle stories of Narnia were told on the road to the Giant’s castle? Or what tales were told at the Parliament of Owls? Shouldn’t all of The Voyage of the Dawn Treader be simply a part of Prince Caspian? It would be tempting for me to set down a specific order. That’s how bloggers establish their cleverness or firm up their turf. Instead, I am going to pass down what I think to be a good Lifelong Reading Way, a Third Way order for Narnia. After the first reading, I think that the order of the events below can come in most any way. Here’s how you should read Narnia. In the crook of a parent’s arm in bed just before the light goes out. Explore Narnia yourself, going in the Published Order as you seal in the story and characters. Try reading Narnia according to Internal Chronology. This is a fun way to see the whole world of Narnia in a new light. Find old attic or yard sale copies of Narnia so you can keep copies in your jacket, your backpack, or the backseat of the car. These are occasional adventures where you disappear for bits at a time. These can be read in any order. Convince your parents or traveling buddies that the unabridged Narnia makes a good travel soundtrack. The Horse and His Boy and The Silver Chair are especially good travel stories. If you are, like me, on an island and can only travel elsewhere by boat or bridge, then The Voyage of the Dawn Treader can be added to that travel list. First, watch the hilarious BBC production. Awesome and mournful both. Second, watch the lame but quite exciting Hollywood versions of the films. The Silver Chair should come out next year or the year after. Listen to the Focus on the Family dramatizations of Narnia in either order. Find Hooper’s Past Watchful Dragons and read some of the bits that Lewis wrote but never got into Narnia. Find someone else to read Narnia to, in the Published Order. This might include after-school clubs, reading clubs, school classes, children’s hospitals, library groups, or the digital friends you’ve collected over the decades. No, it is not a very elegant list. It isn’t easy to remember, and it doesn’t fit well into the old categories. Most of all, it doesn’t curve out my turf or whatever. But this is my argument for the way we should read Narnia. The astute reader will see that I am saying that the best way to read Narnia is to re-read Narnia. This entry was posted in Fictional Worlds, Reflections and tagged C.S. Lewis, children's literature, fantasy, lion the witch and the wardrobe, literature, Narnia, Reading, The Magician's Nephew, The Silver Chair, Voyage of the Dawn Treader, Walter Hooper. Bookmark the permalink. I think The Lion, the Witch, and the Wardrobe has to be read first. 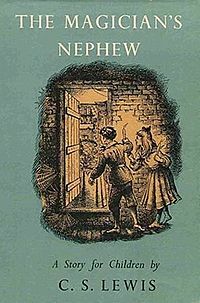 It would be weird reading The Magician’s Nephew first even though it is a prequel; otherwise, there is nothing surprising or shocking about the Professor’s behavior in LWW (and I think a first-time reader should be surprised, as the Pevensie children are!). Prince Caspian, The Voyage of the Dawn Treader, The Silver Chair, and The Last Battle should be read in order as well (because of the order in which characters are introduced), but I think The Magician’s Nephew and The Horse and His Boy can be read at any point (as long as they’re read after LWW and before TLB). My experience was unusual. I read The Voyage of the Dawn Treader first; we read it in class in the fourth grade (I had an unusual teacher – we also read The Hobbit). Were you forever ruined by reading out of turn? I love that book even better than either Lion or Magician’s Nephew. No, of course not 🙂 and I think by the time that I read “Lion” I barely remembered “Dawn Treader.” Of course that was many (33?) years ago so I could be mistaken. Reading “Dawn Treader” was more like finding an old friend by the time I started from the beginning (which, at the time, was still “Lion”) and read them all. I was the same. I read Narnia once as a kid then returned at 25 or 30. I think they are better adult reading books anyway, so reading them 20 years later is like the first time. Yes, I agree with your order for a first reading. The Magician’s Nephew and The horse and his boy can come anywhere in the middle, but the others should be read in published order. For re-reading, there is no order. I pick up any one of the books and re-read it whenever I want to, and don’t necessarily re-read all of them. For instance, I re-read The voyage of the Dawn Treader before seeing the film, and again afterwards — see here Voyage of the Dawn Treader: film (and book) review | Khanya. Yes, well done. My point was to sort of tweak this ongoing conversation about “order”–how do we read Narnia? We read it by rereading it. I am this time going through as Lewis wrote them. I don’t think he actually finished “The Magician’s Nephew” in final form until after “The Last Battle.” I’ll see if that changes the nuance for me. I agree that The Lion, the Witch and the Wardrobe must be read first–that’s the proper introduction to Aslan. After that, I’m quite flexible. Did you encounter them as a kid, or only as an adult? See, you open up that 3rd “but” in my blog above. If you’ve seen a movie or play or even the posters, you are ready for Aslan in Magician’s Nephew. I have to do more thinking of this. Love this! In the end . . . make sure you consume large doses of Narnia, much like good coffee! I love this to pieces. 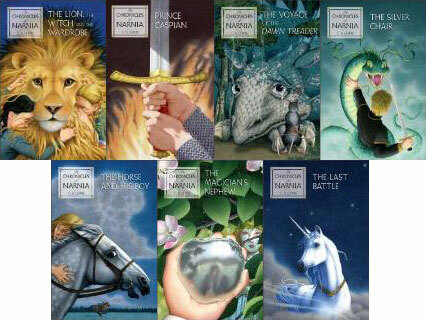 I try to keep my Narnia series in published order, but because I’ve read them so many times, it hardly matters. Also, I now suddenly have an urge to read them all again! Yes, you are far past being influenced by order, right? 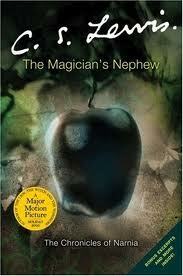 But starting with Magician’s Nephew is both disturbing and alluring. That’s a perfect description. 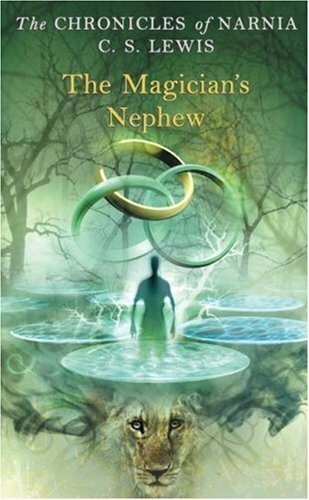 I actually think that if I were ordering the books on my own, I would put Magician’s Nephew second, though I do enjoy it second to last – a final call back to the essential seeds of the story before the Last Battle (which is, for me, the hardest book to get through, for a lot of reasons). That is the hardest book. And it’s more than Susan. Spoken like a true CS Lewis fan. I love it! It’s funny, though, I don’t think Narnia is Lewis’ best. I just think they are very good children’s stories in an era before anyone knew how to make stories like that. He is an accidental master. PS: Have you noticed how perfectly this blog is suited to the WordPress Twenty Ten Theme? It’s as if it were designed as a finished theme just for A Pilgrim in Narnia. You could easily imagine some of the Inklings walking down that dirt road, or Dr. Elwin Ransom. Thanks! I actually picked that picture on purpose. I know it is time to freshen up the image, but I’m loathe to let it go! It is very “Pilgrim in Narnia” ish. Inkling ish. Magdalen walk ish. Ransom ish. Hobbit ish. Yes! It is all of the above! I love the stories of the Inklings taking walking holidays in Northern Ireland, and this seems to really fit. Love this, Brenton. I first read the series at eight or nine. My father got me a copy of Lion, and then I got the set and read them in chronological order. I’m glad I read Lion first because then Magician made more sense to me, but reading the rest in chronological order must have worked for me, because this was my favourite set of books to re-read for several years. The Silver Chair is my favourite (Puddleglum!). I had trouble with The Last Battle as a nine-year-old, I hated what happened to Susan. So I would read the other six and avoid that one. I was a late win to The Silver Chair. I loved Puddleglum, but the darkness of the journey and the claustrophobic underground set me off. It was the audio version (unabridged) that moved that book from #6 or #7 to #1 or #2! People often debate about the reading order of CS Lewis’ Narnia series, some arguing that we should read them in the order they were published, while modern publishers issue them according to the stories internal chronology (loosely speaking). Really, Brenton Dickieson gives us the only real way to read the Narnia series: that is, to re-read them, in various orders, learning something different each time, with one caveat: the first time you pick up the series, start with The Lion, the Witch, and the Wardobe, and I would add, end with The Last Battle. Everything in between is up for debate, but those two are proper bookends. An excellent distillation with the only fitting conclusion: read and then re-read repeatedly! The first time should be (in my view) in order, but after that? Whichever order strikes one’s fancy. Then think about reading them alongside Michael Ward’s incisive volume, Planet Narnia. Thanks! Actually, that’s a point I thought about. Ward or Devin Brown or more of Hooper or Margaret Hannay… what resources would be good? I would add those maps and extra stuff books too. Yes, it sort of depends on how deep a reader wants to go. For me, all the extras enrich my experience and feed my hunger for Narnia, which is in fact an expression of sehnsucht! I suspect it’s the same for you. I was introduced to Narnia by the BBC Lion, Witch and Wardrobe movie. I loved it growing up but I could never get into the books. I think maybe I tried to read them too late, picked up on Lewis’ slightly patronizing tone and couldn’t enjoy it. But I’ve read them several times as an adult (the first time as I found them, then in published order, then in chronological order). I think The Lion, the Witch, and the Wardrobe is the strongest of the series and should probably be read first whatever order the series is continued in, but I’m not strongly tied to any particular order. I’ve recently cemented a friendship after reading aloud the entire Narnia series (chronological order) to a friend after several years of long drives together to church retreats. I lost my voice a couple of times but it was worth it! That’s an intriguing way in. I’m sure many today first encounter Narnia on the screen. I think they get better as WE age. Just saying, but that last part is a pretty cool story. I got told off by my primary school teacher for reading The Silver Chair first and Magician’s Nephew second. But then she forgot to factor in that I had the whole narrative ingrained in my subconscious having watched the awesome/awful BBC productions as they played out episode by episode on a Sunday evening, one series a year when I was three/four/five respectively and then repeatedly replaying the videos until I was old enough to read the books, so I had had the whole introduction to Aslan, the world and its peoples, time, history etc. However I think if I were recommending it to a Narnia novice I would go for published order as I think the whole discovery of Narnia and Aslan works really well with LWW first. I particularly like your suggestion of having it read aloud accompanied by hot drinks. And biscuits, obvs. 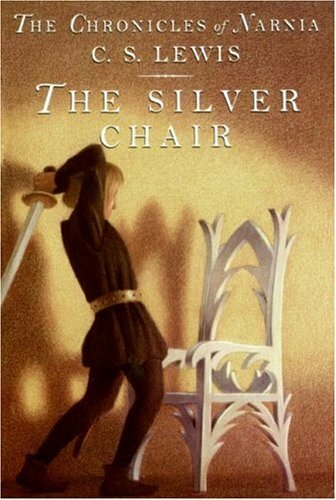 I’ve come to like “The Silver Chair” the best, but not as a kid. If you mean “biscuits” as cookies, then my son would agree with you. If you mean the fluffy Canadian biscuits my grandmother used to make, with cheese or a bit of jam, I’m in. Either/and/or both 🙂 On this side of the pond I think cookies=biscuits. (Although we do have cookies too, they tend to be thicker and softer and contain chocolate chips whereas biscuits are usually cripsier? Who knows.) I’ve never heard of those Canadian ones but if they involve consumption with cheese or jam I’m probably in too. Ah, the science of cookies-biscuits. There must be an equivalent to the Canadian biscuit, which is awesome. Let me find out. So, apparently, biscuits and scones are pretty close, but we don’t bake anything in biscuits. Perhaps the buttermilk ones are close! A life without biscuits like my grandmother’s is sad. But, to be fair, I still haven’t tried much Ukrainian or Ghanian food. So I may miss everything! I call for a biscuit-recipe exchange! There are a lot of great foods out there, but I still think I would miss biscuits hot out of the oven. First, there is the Focus on the Family dramatizations. These are 2-3 hours each, or a bit longer perhaps. They are good–a pretty good interpretation to honour the originals. They are American in flavour and adaptation, but the actors are British. The audiobook is pretty good but the 7 books have 5 or 6 different readers. Perhaps that’s okay. The way you find them is at Audible.com, and then make sure it is “unabridged”–each will be 4-5 hours. These readers are more for children–actually all the editions have the young, eager voice in them. I have listened to both over the years… well not all of the Focus on the Family series. But I think you’ve got two good options. There’s also a full BBC dramatization of Narnia on Audible, but I don’t know it. They are usually pretty awesome. Sir Michael Hormden’s abridged readings are excellent, but they cut out way too much of story. When I first heard about the series, it was “The Magician’s Nephew” via the Focus on the Family Radio Theatre. 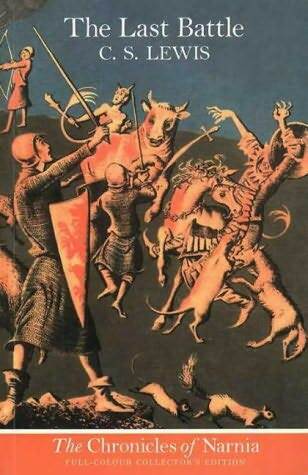 The Horse and His Boy was the 2nd book I read (and the first Narnia book I had read). That’s a great introduction, I think. Really, I’m suggesting here that any method can be good for the right time and the right reader. I read The Magician’s Nephew first (it was the only one I had for a long time) and it remains my favourite, so I always feel slightly resentful at how adamant people are that it shouldn’t be read first. I thought it was a wonderful introduction. Very cool–it is a wonderful book, and not a poor way in. It’s part of the reason I proposed this Third Way–to jar people out of an unsolvable debate.